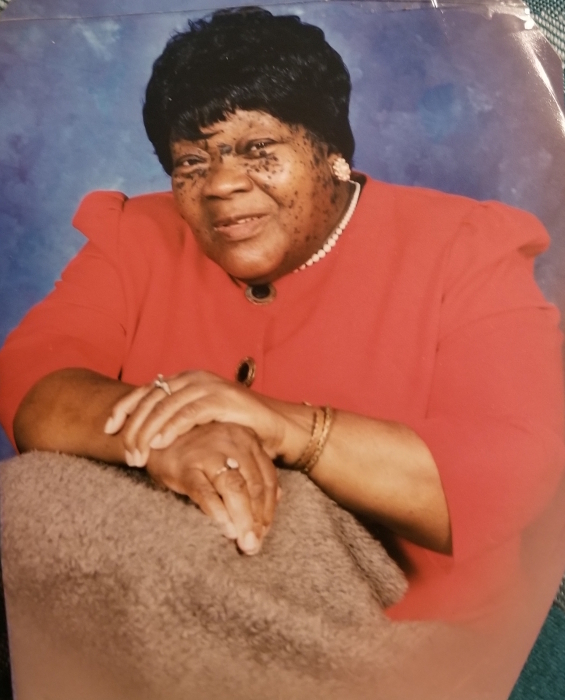 Mrs. Nettie Mae Aaron Williams (93) was summoned by God’s Heavenly Angels early Saturday morning, March 16, 2019, at her daughter’s residence in Augusta, Georgia. Funeral services will be held on Saturday, March 23, 2019, at 2:00 p.m. at the Antioch Baptist Church in Bowman, SC, Rev. Gary D. Miller, Pastor, and Rev. William Mack, eulogizing. The family will receive friends at 112 Toronto Lane in Bowman, SC., after 2:00 p.m. on Friday, March 22, 2019. Nettie was born October 30, 1925, in Orangeburg County to the Late Mr. Andrew and Mrs. Ida Glover Aaron. She was educated in the public schools of Orangeburg County. She married the Late Robert T. Williams in 1950 and they had five children. Three of which preceded her in death: Danny, Gloria, and Rhoda. At an early age she joined the Mt. Olive Baptist Church in Orangeburg until becoming a member of the Antioch Baptist Church of Bowman where she served faithfully until moving to Augusta, GA, in September of 2005. To continue her legacy, she leaves one son, Ro at Gloverer of Newark, NJ, and one daughter, Jeanette Gibbs, of Augusta, GA; four sister-in-laws, Annie Mae Aaron of Bronx, NY, Jannie Myers of Orangeburg, SC, Lorine McDaniel of Philadelphia, PA, and Daisy Smith of Jersey City, NJ, and one daughter in law, Eloise Williams, of Brooklyn, NY. She had five grand children: Denise Jackson, Derrick Gibbs, Thorne Williams, Diamon Gibbs, and Willie Jameson. She had twelve great grand children and a host of nieces, nephews, and other relatives and friends. Also, she was privilege to be served by Ms. Doris Young, as an in-house Aide. The visitation will take place on Friday, March 22, 2019 at Glovers Funeral Home from 1:00pm until 8:00pm. The service will be take place on Saturday, March 23, 2019 at Anioch Baptist Church located at 7640 Charleston Hwy in Bowman, SC. The service will begin at 2:00pm.